What Is Ransomware and Why Do I Need to Know? As technology has advanced over the years, so have the threats against it. Malware has transformed from annoying programs that cause pop-up advertising to dangerous applications that can cause catastrophic system failures, cost thousands to repair, and put highly sensitive company data at risk. One type of malware that has become increasingly popular over the last few years is ransomware. Once ransomware infects a computer, it restricts system access, and then demands a ransom paid to the application creator, in order to remove the system restriction. Some types of ransomware take hold of a computer by locking the system and then putting up a display message that is crafted to dupe the user into paying money to have the lock on the system removed. Other more advanced forms of ransomware will actually encrypt the files on a computer’s hard drive, requiring the payment of the ransom to decrypt the locked files. Regardless of how simple or complex the ransomware is the main goal is to lock users out of accessing their computers and data, and demand money in exchange for restored system access. The Internet Crime Complaint Center (also known as IC3) is a joint effort between the FBI and two other government agencies. It was created to provide cybercrime victims with a way to report to authorities of suspected criminal or civil violations that occur on the internet. On June 23, IC3 released a public service announcement about the rise and continued spread of ransomware, not just in the United States but around the world. According to the release, CryptoWall is the most current and significant ransomware that is targeting both U.S. businesses and individuals. CryptoWall and its variants have been used actively to target U.S. victims since April 2014. The financial impact to victims goes beyond the ransom fee itself, which is typically between $200 and $10,000. Monetary losses occur when an individual pays the “ransom” to remove the ransomware. However, even if an individual or organization becomes aware of the ransomware and ensures that no payment is made, money has to be spent on additional fees that are a result of the ransomware. These additional fees include costs for system and network repair, countermeasures, legal fees, and IT services. Additionally money is also lost due to the loss of productivity when a computer or entire systems become locked due to ransomware. Ransomware has caused significant damage across the United States. Looking at data from between April 2014 and June 2015, in just over a year the IC3 received close to 1000 CryptoWall related complaints (this does not include other forms of ransomware). The victims making the claims reported losses that totaled over $18 million. Additionally, most criminals behind ransomware demand payment via Bitcoin as it is easy to use and although not completely anonymous, it does allow users to hide their identities during transactions, making it more difficult to track where the money is going and to whom. 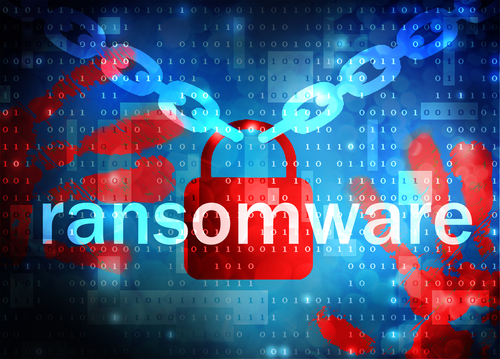 With ransomware on the rise, it is important to ensure that your business has the proper safeguards in place to protect your IT infrastructure from becoming infected with the highly dangerous and costly malware.